I once read this on a piece of framed art, a greeting card or on a throw pillow, but probably not the last two. Regardless, this is a friendly reminder that Valentine's Day is three weeks away - if you're into this day of romance, of course. If you're dodging cupid's arrows, there really is no time like the present to show loved ones (or yourself - no judgment here) how much you care. And darlings, what better way than with a pie? 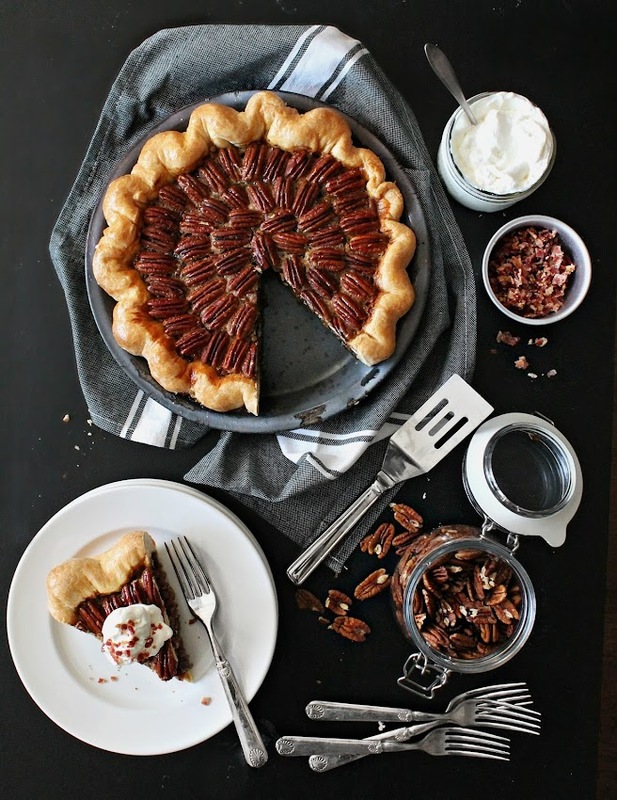 This Bacon Bourbon Pecan Pie embodies a deeper, yet sultry side to your standard pecan pie. It marries the sweet and savoury so beautifully while each bite explodes into a symphony of flavour. Did I get your mouth watering? Head on over to ⟶ Ontario Pork ⟵ website and grab this recipe I have created for them. I also have it on good authority that this pie also helps with a broken heart. I mean, it's hard to be sad when there is pie around. Then again, it's hard to do anything with pie around. This pie is so beautiful!